Home air purifiers, with their irritating, incessant hum and tiny lifespan, don’t serve much more of a purpose than your central air system’s intake vent. They also tend to be a bit of an eyesore. The Andrea Air Purifier, however, wants to split the difference between form and function. 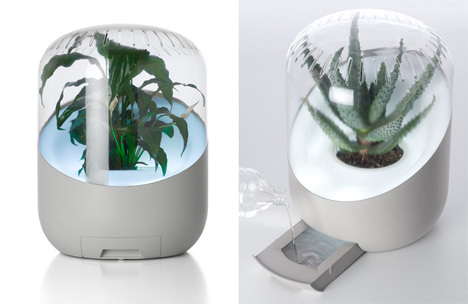 Utilizing the natural air purification power of plants, the Andrea encloses a plant in what looks like a giant pill capsule with a built-in fan. 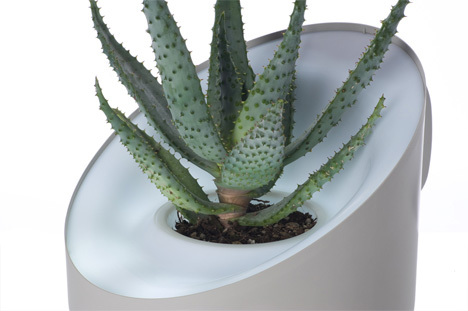 The fan efficiently moves air through the plant’s leaves, soil and roots, exiting the apparatus through a tray of water meant to collect toxins. 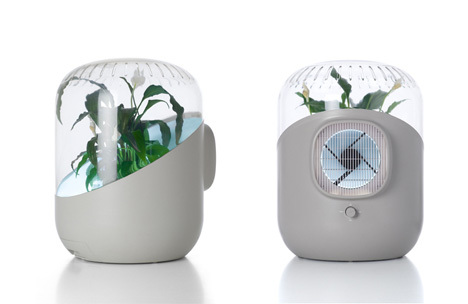 Co-inventor Tom Hadfield claims Andrea is 1000% more effective at air purifying than a houseplant alone.